Instead of spending money on disposal of organic waste from industries, sewage treatment plants, slaughterhouses, dairies, farms, etc. you can gain electrical and thermal energy and fertilizer from Biogas Plant. Through anaerobic digestion it is possible to produce methane gas (biogas) and high-quality fertilizer from the organic material. 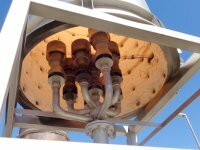 The biogas can be transformed into electrical and thermal energy by means of cogenerator (CHP – Combined Heat & Power). MENA-Water provides complete solutions for your organic waste problem. 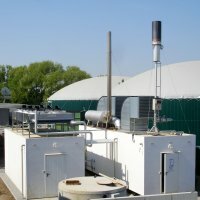 We plan, deliver equipment and supervise installation of your biogas plants. 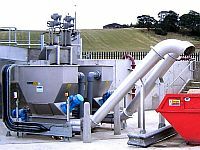 As well we supply the whole product range for biogas plant from the mixer, pump until the cogenerator.